Offering the ultimate all-in-one ski setup, our Children’s Beginner Pack in La Plagne is perfect for busy families who love a bargain. 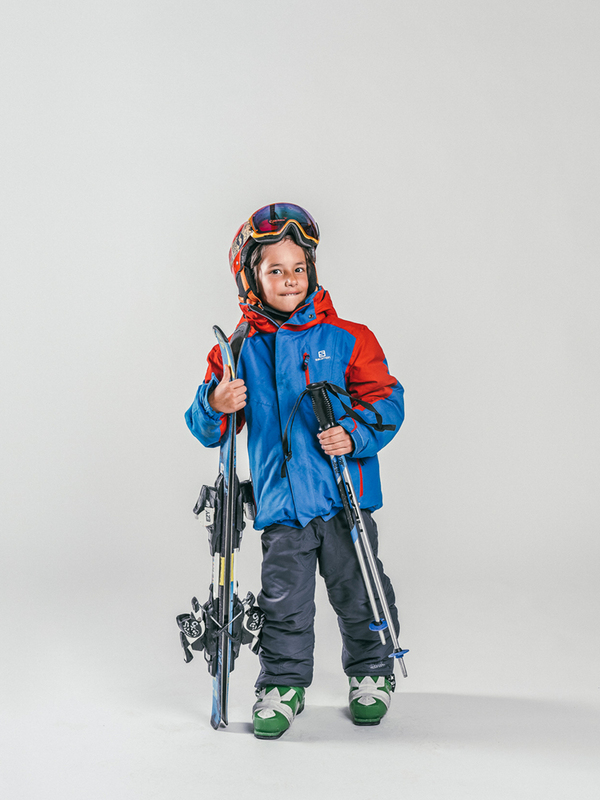 With kid’s ski lessons, equipment hire and lift pass all rolled into one, you can enjoy fab savings and first-rate tuition without the fuss. 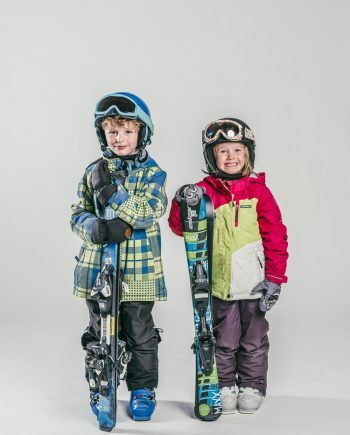 Clip-in to specially designed and expertly fitted children’s skis and boots along with 2.5 hours of top tuition each morning, Sunday/Monday to Friday from 10:00 to 12:30. Book now and set your family up for success. 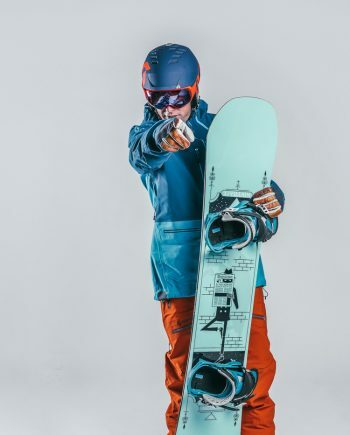 Did you know you can now rent skiwear? We’ll deliver to your door. Arriving on the Saturday? Great. Book 5 lessons with us and let your little one race ahead of the class with a Sunday lesson thrown in at no extra cost. Complimenting our fab morning lessons and equipment, our Children’s Ski Beginner Pack includes a La Plagne, full-week kid’s lift pass. Our Children’s Beginner Ski Pack is perfect for Brown Bear, Polar Bear or 1st Ski groups. Check out our Level Finder and discover their perfect group. For big results, we keep group sizes small with 8-to-10 kids per instructor. Oh, and to track our pack, we stay in-line with colour-coded bibs. 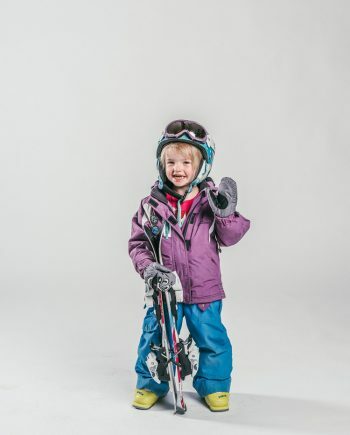 A great pick for all aged 5+, choose from a wide range of our top-quality children’s skis and helmets. Clip-in and book online and we’ll fit the rest. Hush those rumbling tums and dig into a well-deserved pitstop and scrummy mountain-restaurant meal with our popular Lunch Club. 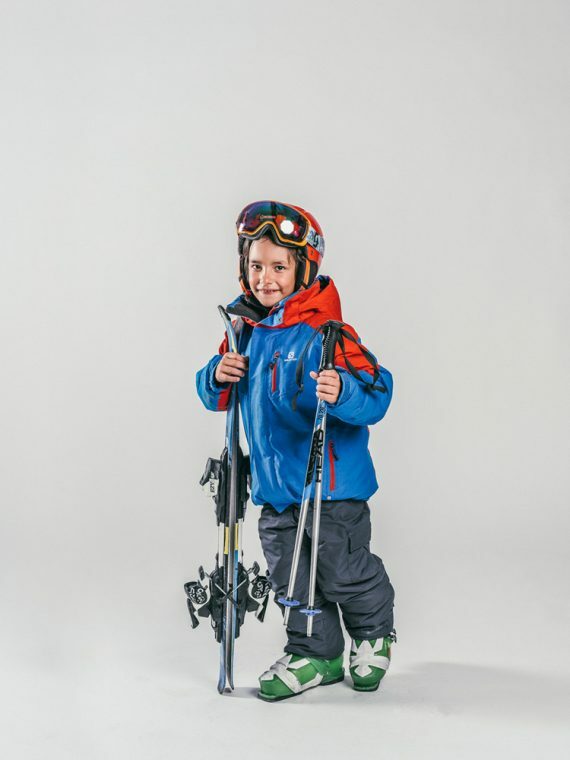 Children joining our Brown Bear, Polar Bear or 1st Ski groups can take advantage of our Children’s Beginner Ski Pack special deal. 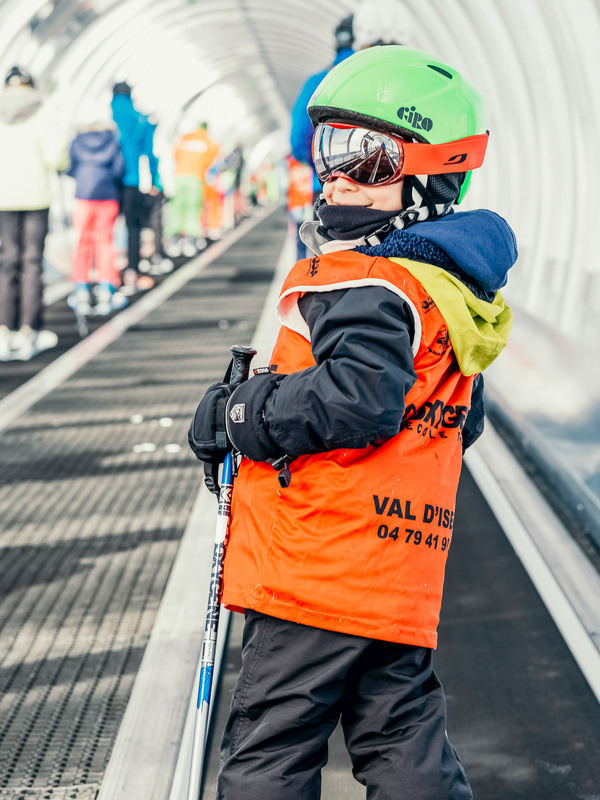 Our Children’s Beginner Ski group sizes are small allowing for a more personal learning experience. They generally range between and 8 and 10 children per instructor. Our Lunch Club, run by Little Chicks Childcare, is available for children from 3 years or older taking lessons with us. Our kid’s ski lessons’ meeting point is nestled on the snowfront in Plagne Centre – just below the Colorado chair lift and above the Les Cocottes restaurant. Look out for our Oxygène flags, blue uniforms and big smiles. And because our group lessons start at 10am, you even make the most of first lifts and get a few runs in before joining the lesson. Well… practise makes perfect. You can find the right level for your child easily via our Level Finder, otherwise you can always contact us by phone or email and our friendly team will help you. Please note that we assess everyone on the first day and then throughout the week. If we feel your child should move to another group then we will do this automatically. 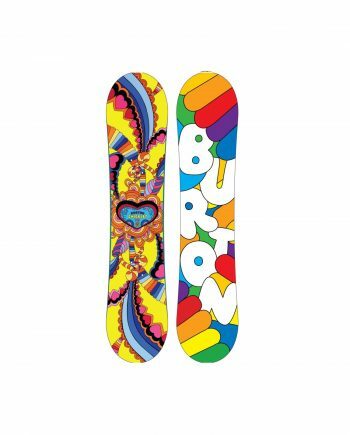 From little Snowbears to Pro-Riders, we like to make sure your child is always in the right class. Simply click on our Level Finder and select the best fit based on their previous ski experience. Not sure? That’s okay; feel free to call or e-mail us to discuss further. And remember, our instructors review abilities during the first lesson and throughout the week so we can regiggle on the slopes if necessary. Start smart and do your homework. 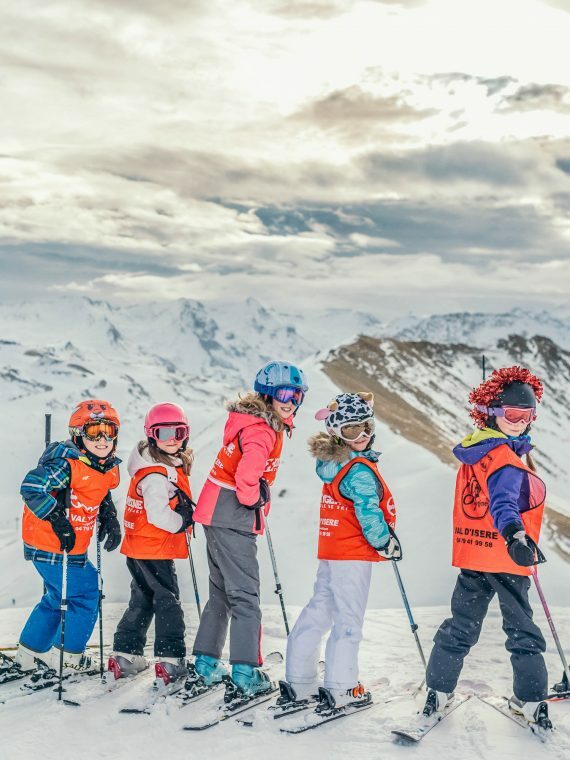 To find out exactly what to expect from your Kid’s Ski Lessons in La Plagne with Oxygène, including insider tips and tricks on how to prep and what to wear, check out our blog.